Ayon Epsilon Monoblock immediately makes clear its wider power bandwidth with more speed, top-end air, detailed resolution and more articulate combined with an impactful bass. It has also a wonderful ability to unravel complex musical threads with grain less purity and surprising musical dynamics. This true balanced monoblock provides perhaps the finest KT88 design performance available anywhere near its price. 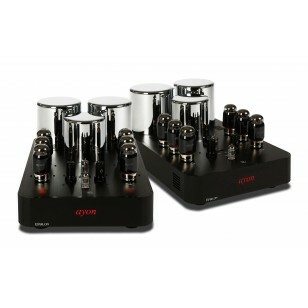 The Epsilon is also available with KT150 power tubes!